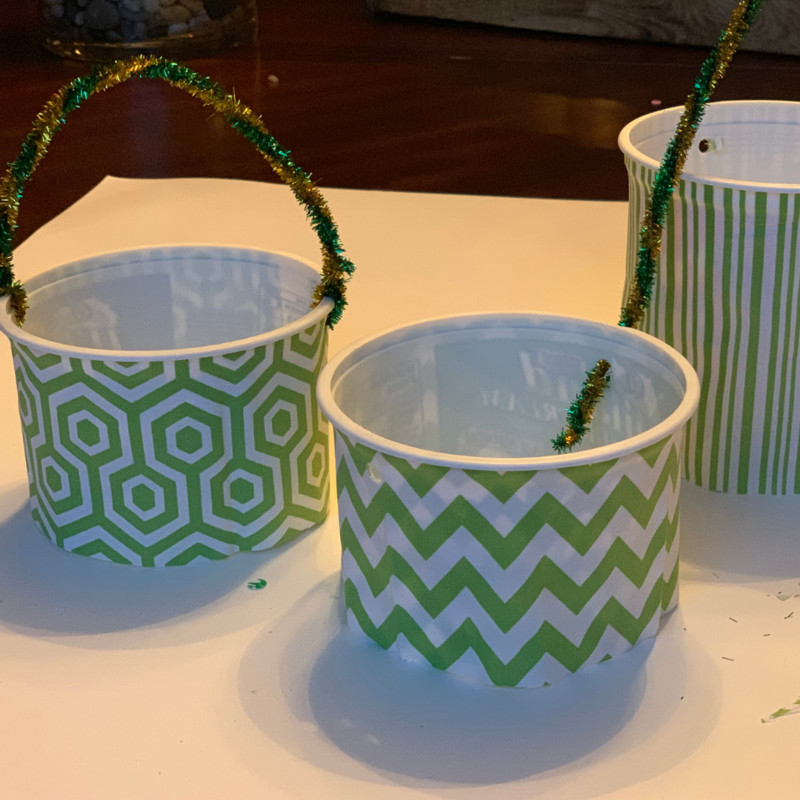 My kids are at the age where celebrating St. Patrick’s Day isn’t about figuring out how to catch a leprechaun, but rather how to avoid being pinched at school. 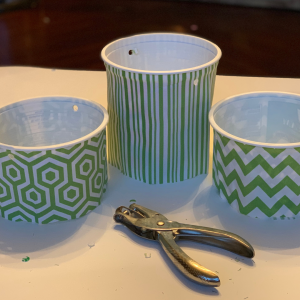 I decided to put entertainment back into the celebration and a smile on their faces with these adorable St. Patrick’s Day treat cups. I plan to have them waiting for my kiddos at the dinner table on March 17. 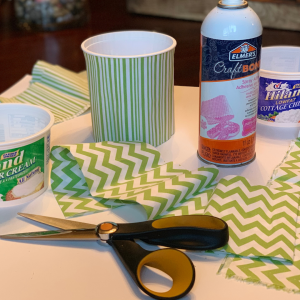 Get in touch with your inner Irish spirit and get crafting! 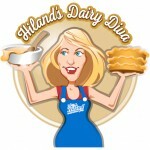 Using warm, soapy water, clean the Hiland Dairy containers. Towel dry completely. Cut strips of material wide and long enough to cover the outside of each respective container. Spray the outside of a container with craft spray adhesive one at a time and quickly wrap the strip of material completely around the outside. Using a one-hole punch, punch two holes under the top rim on opposite sides. 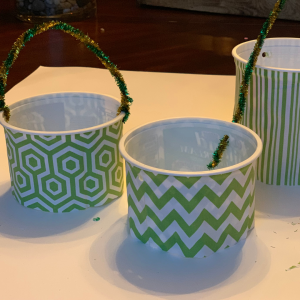 Twist one gold and one green pipe cleaner together to create a handle for each container. Push the ends of the pipe cleaners through each hole and twist up to secure the handles. Turn up the fun! 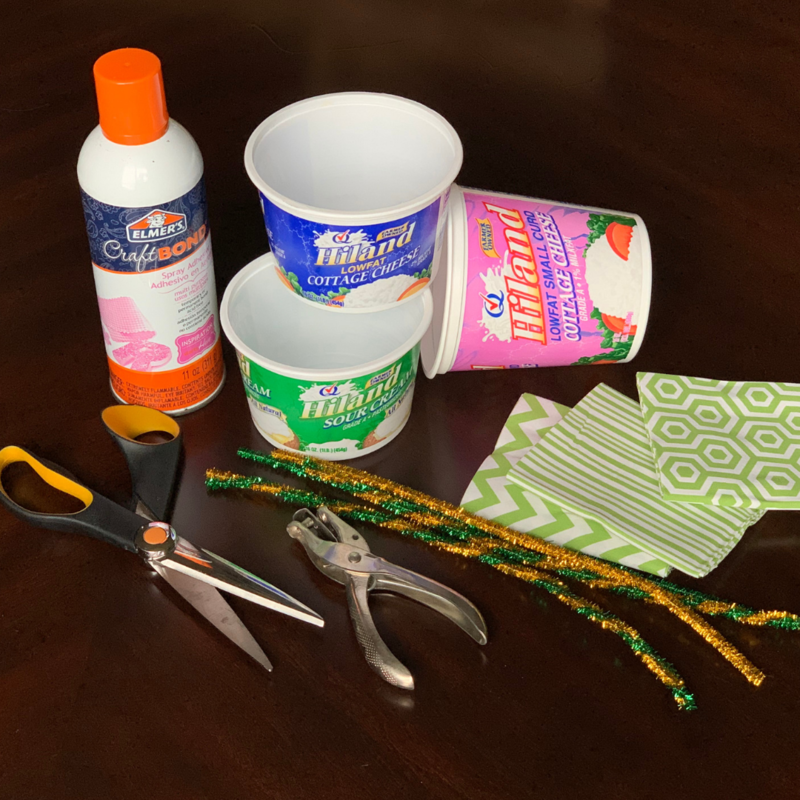 Instead, candy-filled cups waiting for your kids, toss in the first clue of a scavenger hunt and make them look for their pile of sweet treats. Tell them a leprechaun did it!